Joanne studied Financial and Legal Studies at Sheffield City Polytechnic, before undertaking the Legal Practice Course at Staffordshire University. She qualified as a Solicitor in 1999. Joanne joined the Residential Property team at Hatchers in May 2017 and works from the Whitchurch office. Joanne has extensive experience of all aspects of residential conveyancing including freehold and leasehold sale and purchases, transfers of equity, equity release and re-mortgages along with acting in the purchase of new build properties having previously been on the panel for two national builders before joining Hatchers. Joanne continues to develop the Hatchers New Homes team. 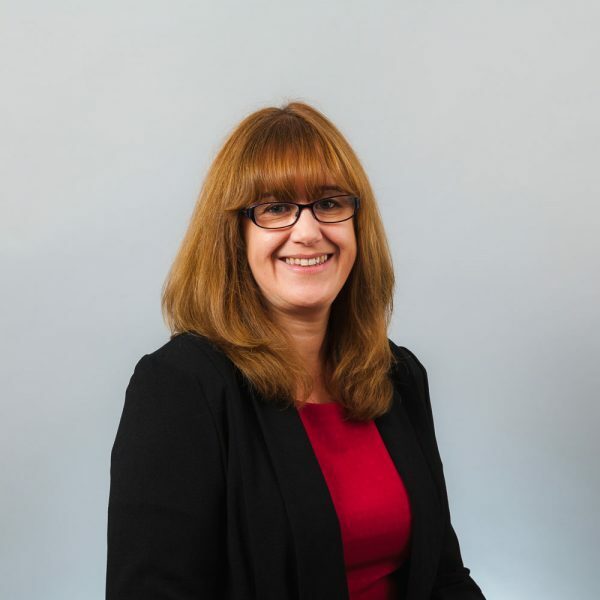 Joanne’s aim is always to provide a friendly and efficient service to clients, working to tight deadlines to ensure that clients’ requirements are met, particularly in the case of new build purchases which do have strict time frames for exchange. Joanne was born in Whitchurch and apart from moving away to complete her degree, she has remained in the locality and lives near Whitchurch over the Welsh border with her husband. Joanne enjoys spending time with family and friends, visiting new places and going to concerts and the cinema. In her spare time she enjoys settling down with a good book or a walk with her father’s dog, William.